FASTER Sensor Frequency for faster O2 sensor feedback. 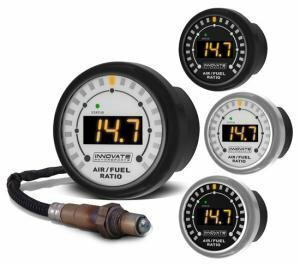 FASTER Analog Output Speed helps ensure that your ECU sees changes in air/fuel ratio as they happen. 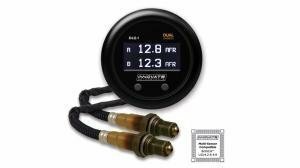 ENHANCED Heater Control for superior sensor performance in forced induction and other high performance applications. Large digital readout and programmable “Digital Needle” provides the functionality of a needle gauge with the pinpoint accuracy of a digital display. 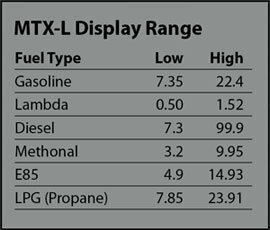 Digital display in AFR or Lambda. 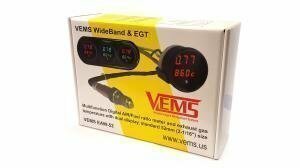 52mm (2 1/16”) diameter gauge body with included interchangeable faceplates and bezels. 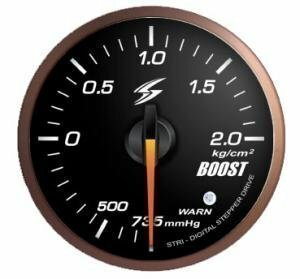 Bosch™ LSU 4.9 wideband O2 sensor. 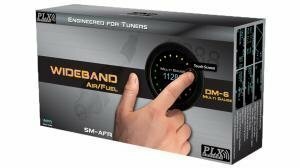 Wideband O2 compatible with several fuel types. 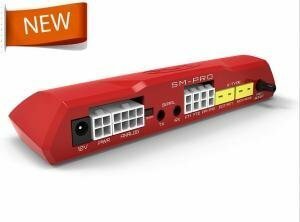 Innovate MTS serial in/out (for use with MTS enabled devices to add additional logging channels). Datalog using powerful LogWorks software on your PC. Easy in and - output.